Sorry for the lapse in posts my dear Ninjas, for I was sucked into the Clysm for a short while and simply couldn't get out! Right off the bat, I tend to think that leveling is a bit too quick. With less than a few hours of playtime, I'm sitting on the edge overlooking level 82. In my opinion, it should take a little longer…however I tend to forget that Blizzard is all about the end game. The new profession of archeology is simply fantastic! It isn't anything complex, but it is a very unique idea that works out to be pretty fun. I certainly hope it's rewards make it worth while. New instances are really pretty, however I can't help bit wonder why Blizzard decided to make them linear…like the classic ones. One of the best things they ever did was to make it so that you could quickly get out of an instance after finishing it, in Cataclysm that simply isn't the case. Instances now have teleporters like raids, but for some reason they don't have them after the final boss. This makes exiting the instance a real pain. Oh, and the "V key." I always play with enemy life bars visible (I don't know how you couldn't) but Blizzard really fucked up the latest UI for this. The life bars now slide around in a seizure inducing pattern. I had hoped that they would add the option to turn this off, but alas they did not. 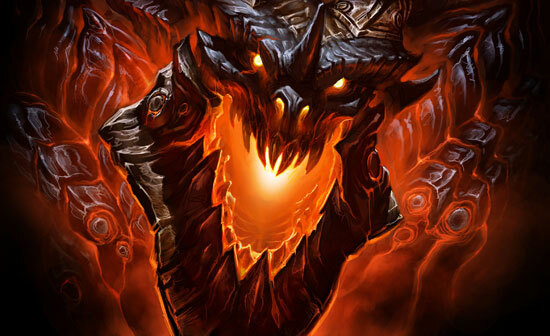 All in all, if you have ever considered playing World of Warcraft, now is the time to start. In it's sixth year, the game is better than it's ever been. If you are considering joint the ranks, look us up! 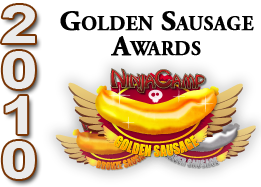 The Kielbasa Squadron might just need your services!